Relics of Beccles has been going for the past two and a half years on Twitter and now I am eager to expand my original "tweets" into blog format. 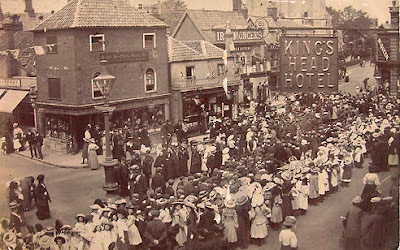 There is a wealth of information I want to share as well as blog about the history of my beloved childhood hometown and the ever-growing knowledge of my Beccles ancestry. It is my hope my "Relics" Twitter followers will enjoy my blog every bit as much as they have enjoyed my tweets. Thanks for reading!